I'm not beautiful as you, I'm beautiful as me. You are amazing. You are beautiful. You are anything but basic. 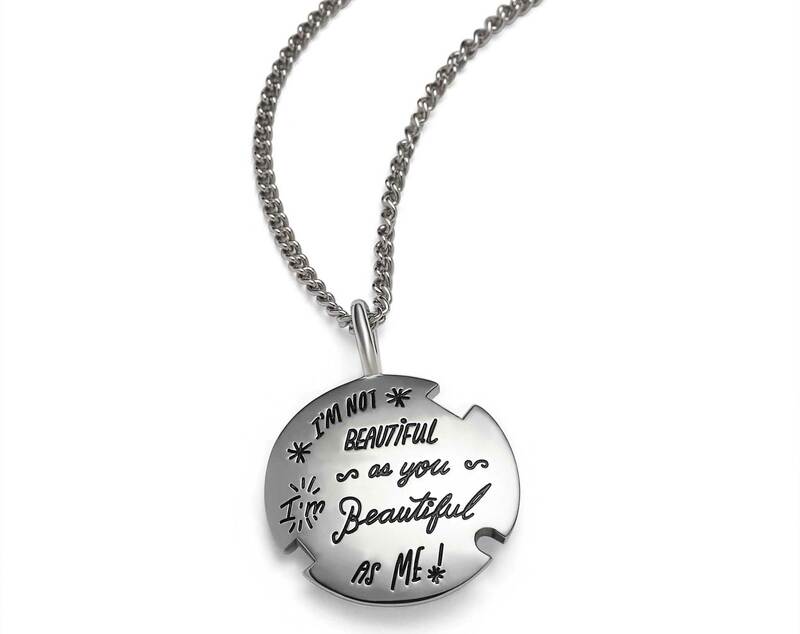 Let self-confidence shine with this decorative shape on a sterling silver necklace.Cut outs along the edge of the silver circle represent your unique gifts, strengths, and abilities. The engraved artistic hand-lettering reflects confidence in who you are. Pick one up today for someone you love or for yourself because you so deserve it!